I should have dated this Library Loot post from April 24 to May 6 because I never did quite get around to posting my loot from last week! It was nearly touch and go this week too because my boy is going off hiking tomorrow so we have been rushing around making sure everything is done ready to go. I am not sure how he will cope. They are really roughing it. No Ipad, no XBox - I expect it is going to be quite a shock to the system for him. A Taste for It by Monica McInerney - This is one of Monica McInerney's earliest books . 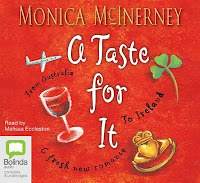 I am listening to it on audio - thought it would be safer than listening to some of her more emotionally involving books on audio. In other words, I was worried about sitting in the car crying my eyes out. Questions of Travel by Michelle De Kretser - Picked this up because it had been listed for the Stella Prize award. 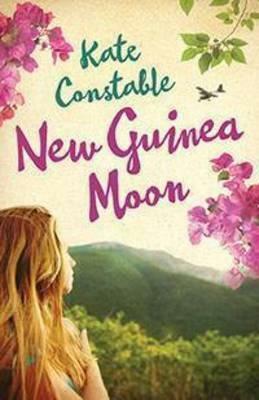 New Guinea Moon by Kate Constable - Can't remember why I picked up this one. Maybe just that the New Guinea reference intrigued me! 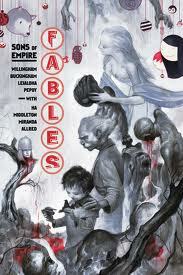 Fables: Sons of Empire by Bill Willingham - the next Fables graphic novel. 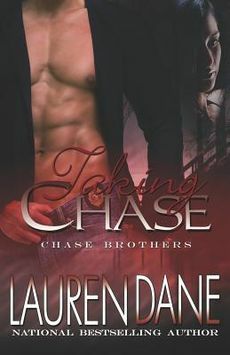 Taking Chase by Lauren Dane - The second book in the Chase Brothers series. 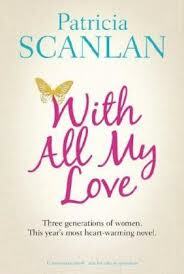 With All My Love by Patricia Scanlan - I am not sure why I added this book to my library holds requests a couple of months ago, but the book finally came in. I'd be intrigued by the New Guinea title too! Armchair traveler that I am. From what I've heard, Questions of Travel sounds really good. Enjoy your loot! I had Fables checked out a while ago, but I never got around to reading it. I've heard the series is great, though! Enjoy the books! I enjoyed Questions of Travel - hope you will too. I need to get going on Fables again -- your racing through. I've read and re-read Fables. Excellent as always. Oooh, beautiful pile! Hope you're busy enjoying them!